Theme: hi-lo, fiction, life decisions, moral choices. 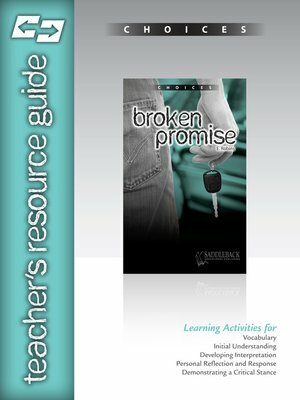 The 16-page Teacher's Resource Guide provides 10 reproducible activities per title. The guides also emphasize life strategies such as being proactive, defining a mission, working together and more. Simply select and print activities that you need. These high-interest novels feature characters in situations encountered by real-life teens everyday. The student body of Dawson High study hard, date, root for the home team, hold down part-time jobs, succeed and fail, just like most American teenagers. Characters are faced with tough choices—and must decide and react based on their principles. However, choices are complicated and learning to do the right thing is almost never easy.